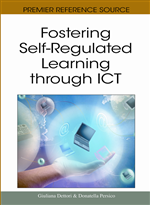 Self-regulated learners deal with a complex interplay of forethought, performance, and self-reflection processes. This might be a reason why many students struggle with regulating their learning in a technology-enhanced learning environment (TELE). Although TELEs provide various tools supporting self-regulation, research indicates that learners seldom use the tools meaningfully. This contribution investigates whether the provision of an optional metacognitive tool (i.e. a tailored learning plan) affects tool use, learning activities, and posttest performance in the TELE “Studierplatz”. To this end, students were instructed to use a learning plan in order to reach a predetermined learning goal. Results show that only 20% of the students used the tool. Furthermore, no significant effects on posttest performance were found. However, learning plan tool use positively affected working on learning goal relevant sections. These results are discussed with respect to current research on tool use in self-regulated learning with TELEs.